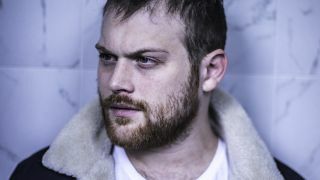 Danny Worsnop has released a video for his new solo single Best Bad Habit. The song has been taken from the Asking Alexandria frontman’s upcoming album Shades Of Blue which will arrive on May 10, with the promo showing the vocalist in the kitchen rustling up a tasty treat for a friend. The record will be the vocalist’s first solo outing since 2017’s The Long Road Home and, like that album, it’s quite a departure from his work with Ben Bruce and co. Shades Of Blue is now available for pre-order. Find details below. Asking Alexandria, meanwhile, will head out on tour across the US from next month. They’ll kick off the run with a performance at Rocklahoma on May 24 and wrap things up at the Downtown Las Vegas Events Centre on September 1.